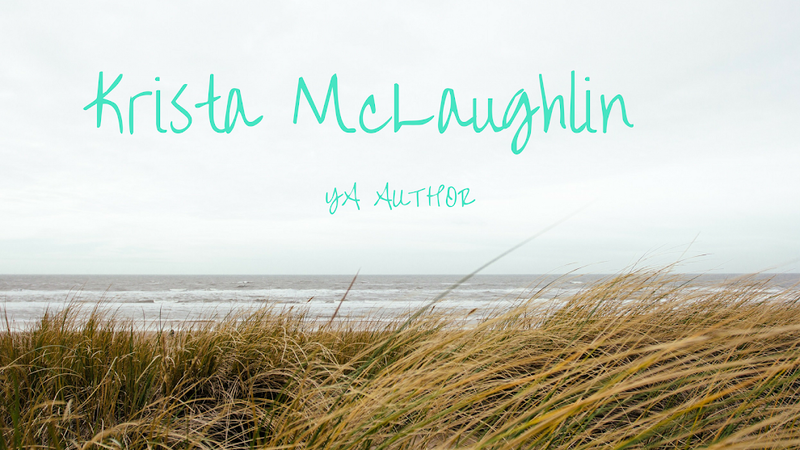 Krista McLaughlin - YA Author: Camp NaNoWriMo Winner! I barely made it in time, but yesterday I finished writing my Camp NaNoWriMo novel, tentatively called "Cursed", though I'm thinking of renaming it to "Beauty and the Geek". I know the name has been used, but it really really really... really really fits for this novel. I will think about it. Anyway, 30,159 words! My goal was to make it to 30k on this novella. Staring at the numbers and letters was giving me a headache. But I had to figure it out. I’d only scored 54 out of 100 on the exam Friday. I rested my chin on my hands. “That takes quite a few more folds.” Jared picked up the tub and carried it into the washroom. Jared’s head popped around the corner and his blue eyes caught the light. I quickly looked away. He came to stand next to me, grabbing the glasses hanging from the front his apron. I hadn’t even noticed he wore glasses. Jared pushed the black frames up his nose and he leaned over, putting his elbows on the sticky surface. A smile crossed my face as I watched him fold the paper until it slightly resembled a flying bird. He handed it to me and pulled off his glasses. “It looks like a duck with beak issues.” I deadpanned. “Okay, I guess I’m better at math than I am at making origami animals. My paper airplanes win awards, though.” Jared let his glasses slide to the end of his nose as he looked at me over the lenses. 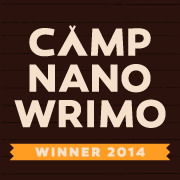 Congrats on completing Camp Nanowrimo Krista! Did A-Z Challenge this year. What about Silent Beauty for a more unique title. Though Beauty and the Geek might be a better title than Cursed since you don't want the deaf community side of potential readership to feel like you're suggesting being deaf is completely terrible. Joining your blog and will try to pop by again. Hey I see Seckman picture, nice that she's a member. Also enjoyed reading the excerpt. Jared made me laugh and he definitely made a better origami animal than I would have. I love the title Silent Beauty, thank you! Of course I don't want to be offensive to the deaf community. Cursed was just the rough title when the book was supposed to go another way. Woot! Congrats. And 10 novels is impressive. Your characters already sound very cute, based on this extract! Thanks so much Nick! :) I really appreciate your kind words!